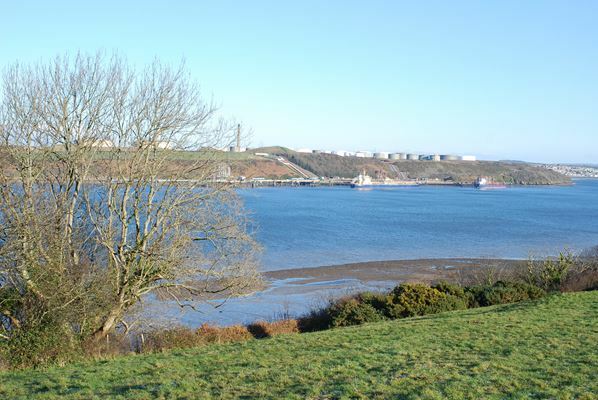 We carried out a landscape and visual impact assessment of the pipeline link between an existing refinery and a new power station at Pembroke on the southern shores of Milford Haven. Issues included the effects on the Pembrokeshire Coast Path and the nearby former church visitor centre and wetland nature reserve at Pwllcrochan. The effects on views from the Haven and the National Park were also considered. A mitigation plan was produced which forms part of the Environmental Management Plan for the scheme. This included wetland, hedgerow, pasture and scrub reinstatement and looked for opportunities for enhancement of landscape and biodiversity along the route. The scheme gained planning consent and has been implemented.